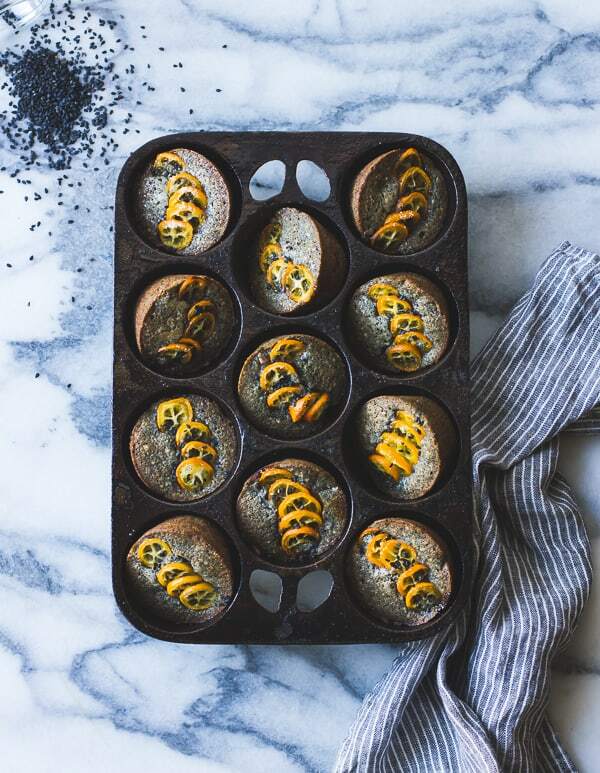 Fragrant little tea cakes packed full of vanilla bean brown butter, almond flour, and ground black sesame seeds get a kick in the pants from slices of sweet-tart kumquats. I seem to have developed a bit of a tea habit. It started innocently enough, a cup of white tea here, an herbal chai there. If you’re tired, I reasoned, you need to rest. Why self-medicate with stimulants when you can merely take a nap? Coffee always smelled better than it tasted and left me with unpleasant jitters and headaches, turning me into that person that afficionados roll their eyes at when I dropped the d-bomb on my latte order. An Italian barista actually laughed out loud when I ordered a cup of chamomile, the only non-upper option, one morning in Bologna on my way to class. “What? Are you going to take a pisolino here on the bar?” he hooted, wiping his clearly over-caffeinated eyes. Over the years, I began to enjoy the occasional cup of Yorkshire Gold while working at a local bakery with a tea-loving boss. She would spoon leaves into strainers, pour over the hot water, and set a timer for a few minutes. Laced with sugar and cream, I ditched the naps and never looked back. No wonder the Brits are so efficient. At home, I got hooked on an organic English breakfast blend from Samovar, which is assertive and more complex than coffee wishes it could be. A giant mug sweetened with local honey and whole milk became an intrinsic part of my morning routine, and, on some days, the sole temptation to lure me, zombie-like, from sleep. Recently I’ve discovered the wonders of the afternoon pick-me-up, and I fear there is no turning back. Savoring a cup of something floral, with a hint of bitterness and a touch of smoke, is one of my favorite afternoon pastimes. Jasmine green, Earl Grey, or my current obsession Red Dragon Pearl. Particularly when a little sweet something is involved. Enter financiers, wee cakelets packed with big flavor from almonds and vanilla-flecked brown butter. Rumor (or shall I say “rumour”?) has it that financiers were invented at a bakery near the Parisian stock exchange where the madeleine-like cakes were baked in molds shaped like gold bricks. The French have genius ways with eggs, and these cakes are a testament to their ingenuity. 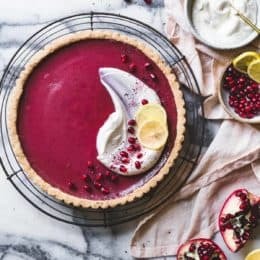 They contain no leavening and a plethora of egg whites, which makes them an ideal complement for a culture big on yolk-rich desserts like crème brulée and ice cream. Financiers are vastly superior to egg white omelets, let me tell you. This version was inspired by a black sesame financier that I was fortunate enough to enjoy in the company of Princess Tofu at Sweetmue last fall. The flavor of toasty ground black sesame seeds against nutty brown butter pretty much blew my mind, and I’d been fantasizing about making some of my own for months. When a bundle of homegrown kumquats found their way to me from Sarah, and a batch of ice cream (which I’m so excited to share with you soon!) left me with a bunch of egg whites, I took it as a sign. Kumquats seem exotic in their own right, as though they descended from another world in which citrus peels are sweet and their flesh is nearly unbearably tart. When cooked, everything about their little orange selves comes into balance. Here, they become juicy bursts of flavor sinking into tender cake, making a sunshiny treat during the dreary winter months. 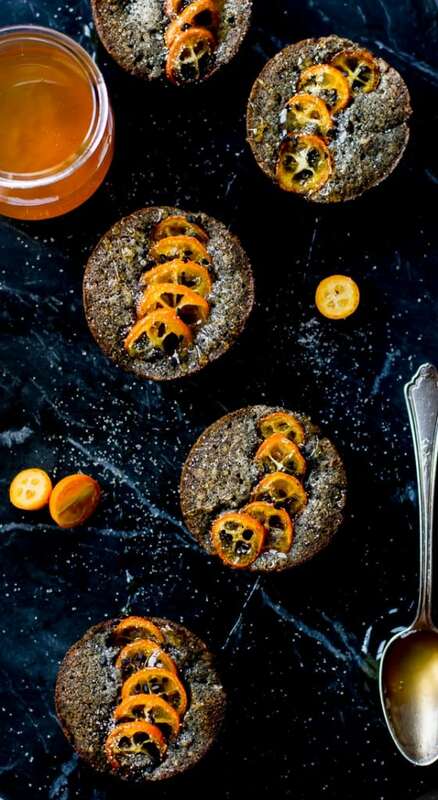 With an unconscionable amount of butter, these are certainly more cake than muffin, though I won’t tell if you sneak a few first thing with your morning cup. 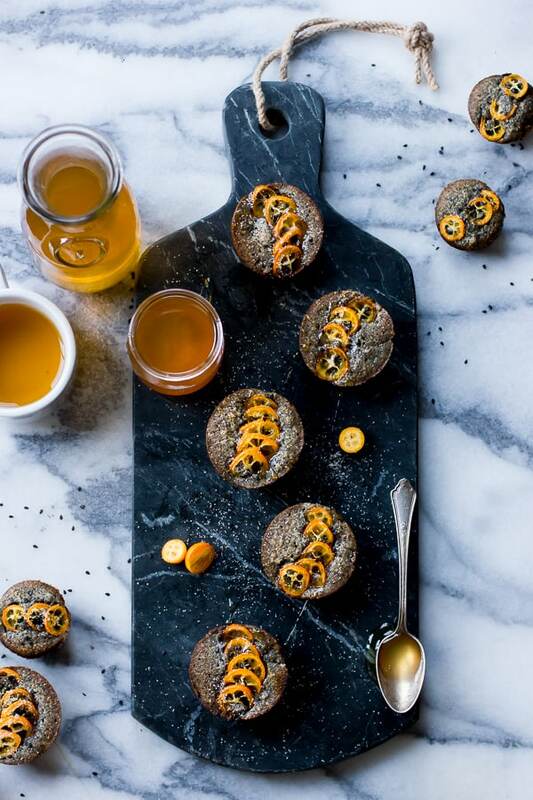 When drizzled with honey and served, still warm, alongside a cup of fragrant jasmine or black tea… well, let’s just say I don’t anticipate kicking my tea (or financier) habit anytime soon. Thanks for reading! 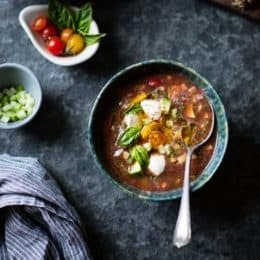 For more Bojon Gourmet in your life, follow along on Facebook, Instagram, Pinterest, Bloglovin’, or Twitter, subscribe to receive new posts via email, make a donation, or become a sponsor. Feel free to change up the fruit here if kumquats aren’t available. I think ripe pear, plum and apricot would all go nicely with black sesame and brown butter. Dark chocolate chunks could also be nice. 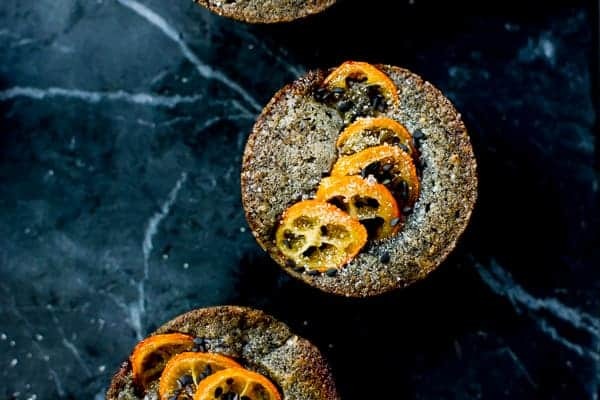 If gluten isn’t an issue for you or your cake-eaters, give these a try with all-purpose and whole wheat flours in place of the rice and oat flours. And if gluten is a serious issue, be sure to use certified GF products, particularly oat flour. Save the egg yolks to use in homemade ice cream (black sesame with milk chocolate, for example!). Position a rack in the center of the oven and preheat to 350ºF. 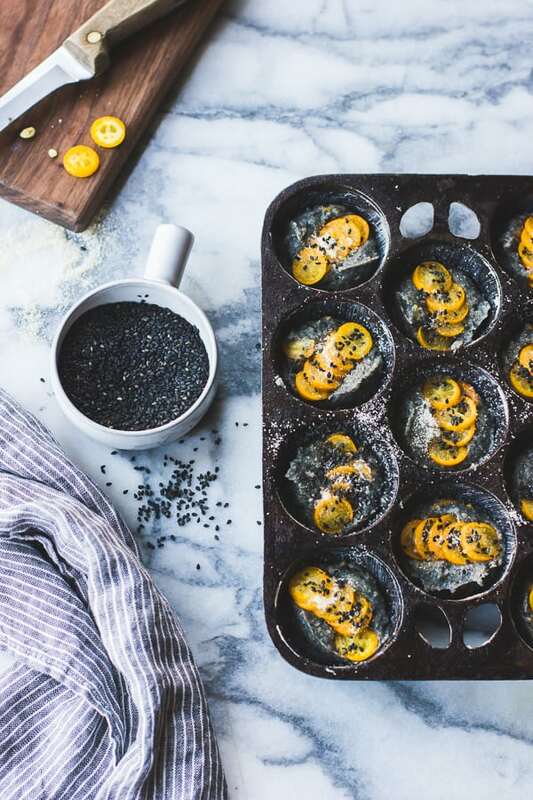 With a pastry brush dipped in the soft butter (it should be the consistency of mayonnaise; melted butter may not work adequately, especially if your muffin pans are nonstick), generously grease 12 standard muffin cups or 24 mini-muffin cups, brushing butter over the top of the pan as well to discourage sticking. 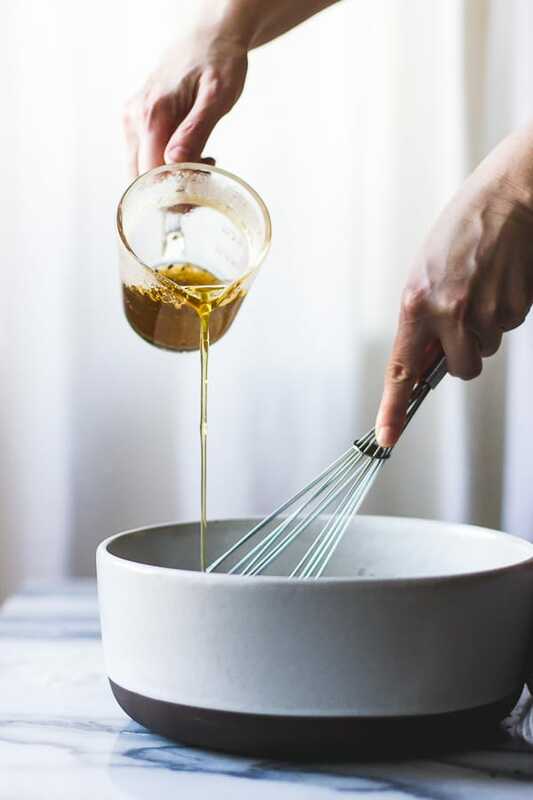 Place the remaining 1 1/2 sticks of butter in a medium, heavy-bottomed saucepan with the vanilla pod and scrapings. Cook over a medium flame until the butter foams up, turns golden, and smells nutty, 5-10 minutes. Let cool while you prepare the rest, 10-20 minutes. Remove the vanilla pod and discard. Meanwhile, in a small, dry skillet, toast the sesame seeds over a medium-low flame, shuffling the pan regularly, until the seeds begin to pop and smell fragrant, 2-3 minutes. Remove the seeds to a plate to cool completely, then grind finely in a clean coffee or spice grinder. 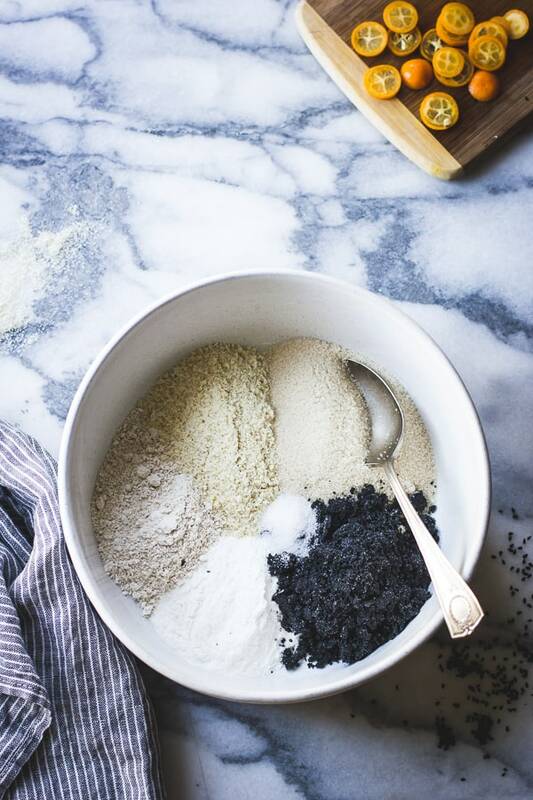 In a large bowl, whisk together the toasted and ground black sesame seeds, almond flour, rice flour, oat flour, sugar, and salt. Whisk well to eradicate lumps. Whisk in the egg whites vigorously until the batter is smooth, then whisk in the melted, cooled butter little by little until well-combined. Using a sharp knife, cut the ends off of the kumquats, reserving the ends, and slice the kumquats thinly into 4-6 slices each. Use the tip of a paring knife to remove any seeds. You’ll want 4-5 slices for large cakes or 3 slices for minis. When you have enough slices for the tops, cut the remaining kumquats and the reserved ends into small bits. You should have about half a cup. 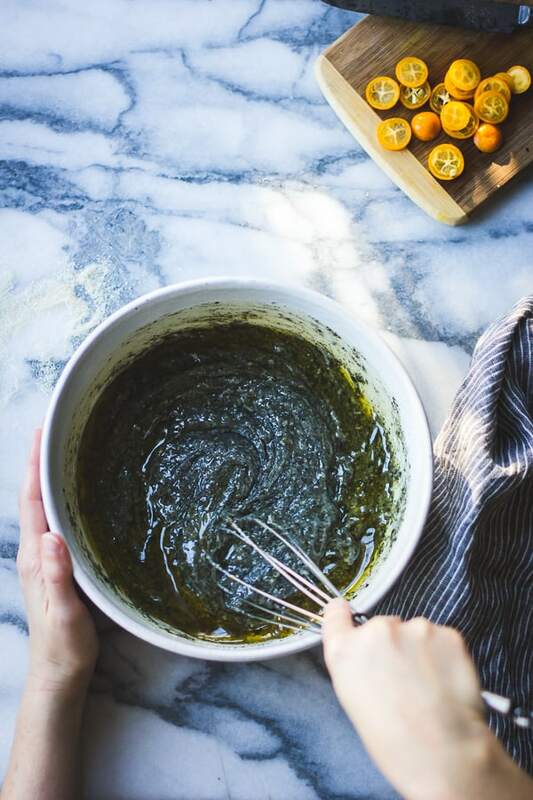 Stir the kumquat pieces into the batter. Divide the batter among the greased cups, filling them two-thirds to three-quarters of the way to the top. 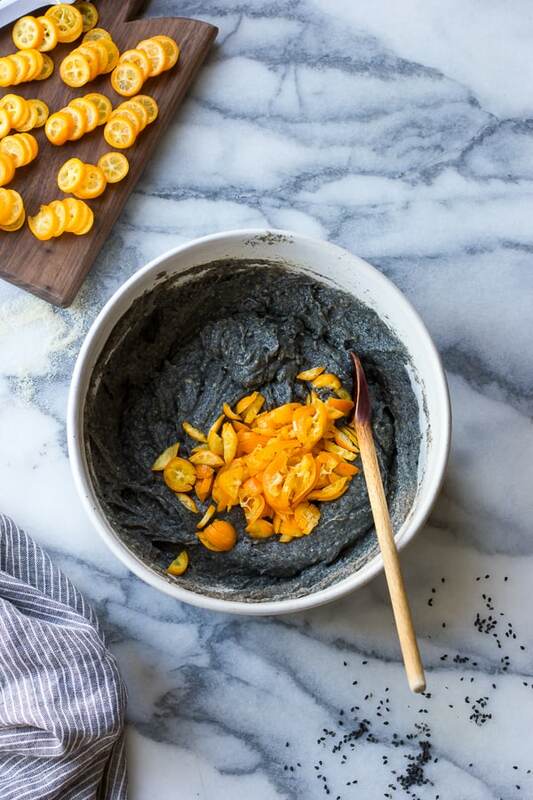 Top with a fan of kumquat slices and sprinkle the kumquats generously with sugar (this will keep them from drying out as they bake) and a few sesame seeds. Bake the cakes until golden on top and a tester inserted in the center comes out clean, 35-45 minutes for large cakes, 25-35 minutes for small cakes. Remove from the oven and let cool 10 minutes, then use a small butter knife or offset spatula to loosen the edges and release the cakes from the pans. I like these financiers best the day of baking, when still a bit warm from the oven. The edges are crisp and the middles are soft and pillowy, with bits of moist citrus throughout. Extras keep well, airtight at room temperature and layered on parchment paper, for an additional day or two. Gorgeous photos. And the cookies look amazing. Thank you so much. I have to say that I am infinitely intrigued by these dark little beauties. I am at the same time put off by the colour, and completely drawn to it. It's really interesting to think about how we've been conditioned to look at dark colours in food! Oh, and I completely second your tea habit. Best habit to have! Haha, I know what you mean! 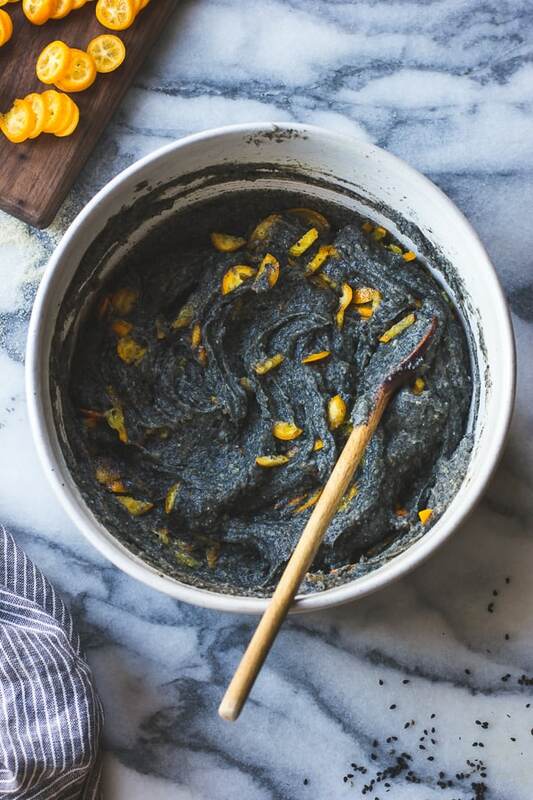 When I first saw photos of black sesame ice cream I was both perplexed and intrigued. I just saw an article on dark foods in a magazine, I'll try to drum it up! 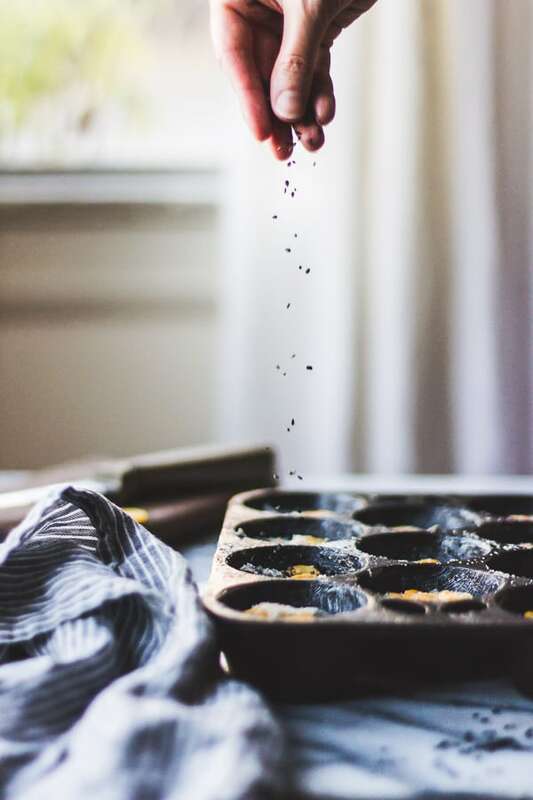 one little note…..when talking about saving the "egg whites for ice cream" i think you meant "egg yolks"….I love financiers and will definitely be trying these soon! Ooh thanks for catching that! Oh, these are beautiful! The flavor combination here sounds wonderful with these sunny little gems. 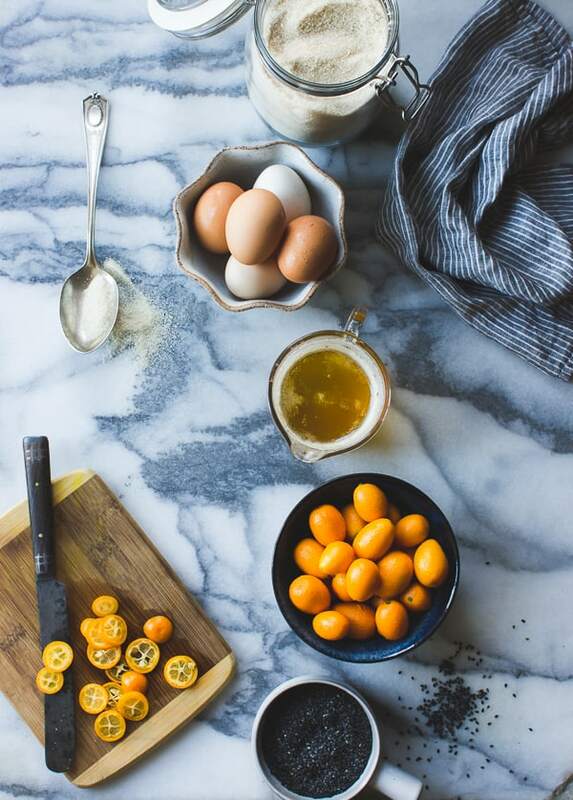 I've had quite the kumquat stash as of late – so looking forward to making these! Girl, you are incredible! 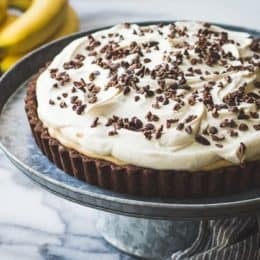 This recipe is brilliant (that combination! ), the photos are so inspiring, what more can I say? You just have a way! 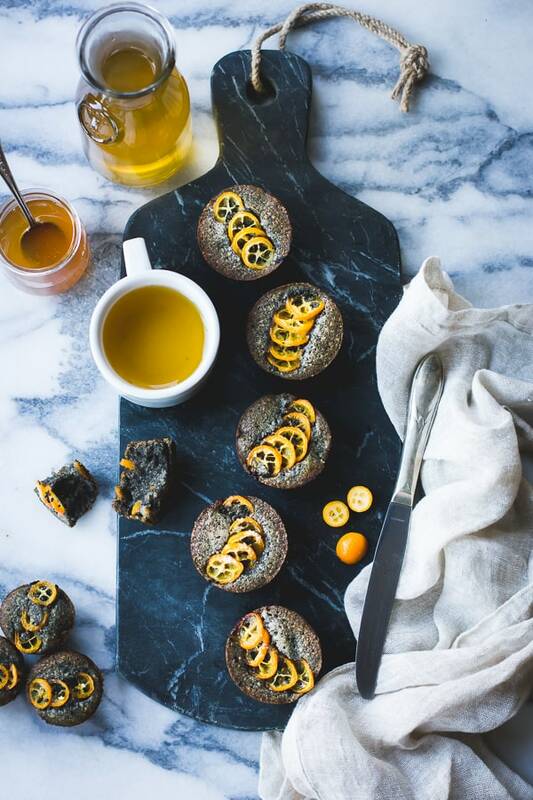 Kumquat financiers – my heart skips a beat! I love financiers and am totally fascinated by these flavor combinations. Surely delicious with a cup of good tea. Such a gorgeous post, Alanna! Oh my gosh, awesome! I've never ever heard of financiers. And hey, I'm a tea person too, so I need these in my life! Oooh I love a good chai. Thanks so much for the kind note! Wow. I have no words. I could never have imagined those kumquats Lucas accidentally discovered in my mom's backyard would turn into something SO GORGEOUS. 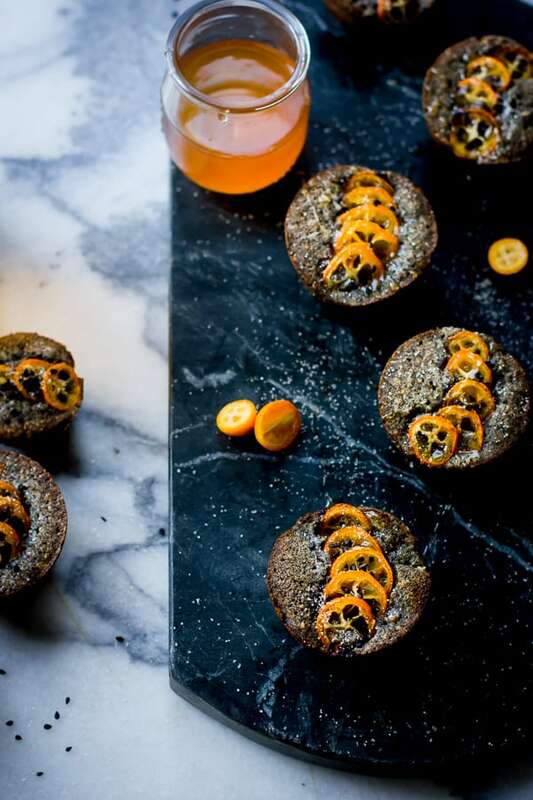 The nutty black sesame sounds like it pairs beautifully with the sweet and tart kumquats. Eat one with my morning tea? Don't mind if I do. Twice. 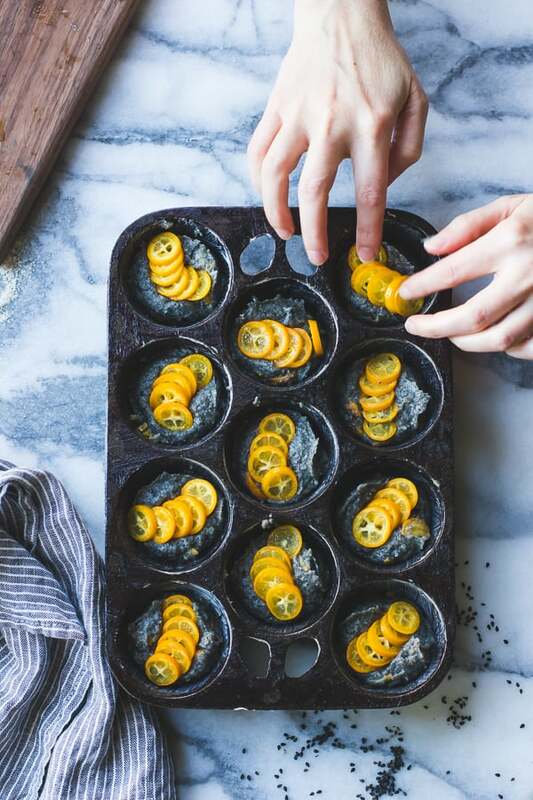 i was scrolling through pinterest, saw these and did a jaw-drop thang, and then clicked through and was like WELL OF COURSE THESE ARE BOJON GOURMET. I should have know. Can't wait to make these lil beauties! Thanks again for a wonderful recipe. Awwwww!!! You are too kind Renee! I am a tea girl. <3 Love this post. Your talent, both in the kitchen and with the camera just blows me away..
Ooh I love that stuff. What an intense combination… my neighbor has a LOADED kumquat tree in her front yard…I might have to make a midnight raid! I made these yesterday. So delicious! Thanks Chef Alanna! 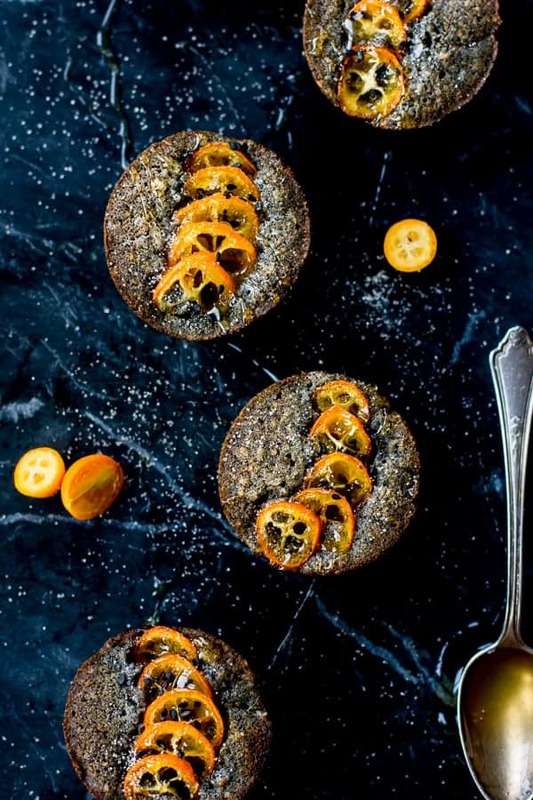 Sorry I mixed up your blog with another one, I was juste saying that I work in a restaurant here in France and that many customers would be surprise to see black sesame cakes because it's not a common ingredient here. The cookies look delicious. Beautiful pictures!